A few months ago I was struggling with finding my purpose in life. I stood in faith. I continued on with my journey in life. I dreamed the dream of my boomer retirement years. Consistently, I looked at Mr. Robert Fowler’s sites, Retirement Media and 55communityguide.com along with his retirement face book pages. 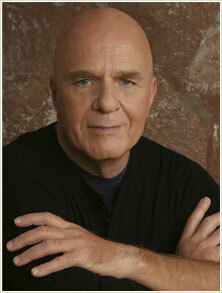 I read many inspiring things written by Dr. Wayne Dyer , Maya Angelou and Simon T. Bailey . Most important of all I never lost my faith nor did I quit because I wanted to know my purpose for living my life. I wanted to find a way to help others. In my introduction boomerplaces.com I said that if I could help one person smile, laugh, be encouraged, or enhance an other’s life in any way then my day was a success. I was contacted by Mr. Fowler asking if I would help him out with a few of his face book pages actually doing what I was already doing by commenting. After taking two days to meditate about this I agreed . In my heart I felt this would be a way to help others. Money was not my motivator. My desire was to post things that I thought would help others. I made it clear to Mr. Fowler that I needed to always be honest and share from my heart. I needed to reach other boomers and maybe just help one. Today I write as WorkingBoomer using my favorite words Live, Laugh, Love and Learn. To show my gratitude for this opportunity as Valentines Day is near, I want to write just a few points for all of us to ponder on Live, Laugh, Love and Learn as it flows from my heart into this writing. Don’t waste a moment of life. It is too short. It is precious. It is an adventure. It is a gift. It is a time to help others. It is a time to take action. It is a time to be enjoyed. It is a time to create. It is a time to inspire. It is a time to accomplish. It is a time to meet challenges. It is a time to shift as quoted by Simon Bailey. It is never to late to spread your wings and fly. It is a time to seek your purpose. Smile and give your smile to someone else because it is contagious. Laugh because it is good for your health. Share laughter with others because it brings joy into their lives. Develop a sense of humor because it will help you get through the hard times. A sense of humor will allow you to deal better with life’s problems as each day passes. Try to maintain a positive attitude. What good does it do to live in fear or negativity? Love because it has the power to change the world. Love because it brings peace and contentment to your heart. Love because it replaces hate. Love because it brings about forgiveness. Love because it is what every human being needs and wants. Love because it shows compassion and kindness. Love has the ability to heal a broken heart. Love because that is what your children need, the elderly need, the neighbor needs, the stranger needs, the homeless need, your family needs, your friends need. Love is what people of all ages, origins, backgrounds, and people of the world need to experience for a life of happiness. Learn to improve yourself. Learn to be tolerant. Learn to contribute to life. Learn to be fulfilled. Learn in order to share with others. Learn to be a success. Learn to develope new skills. Learn by studying history to understand today and tomorrow. Learn to understand how to be the best person that you can be. Learn how to give. Learn how to receive. Learn and just keep on learning so that you will always stay open to new and creative ideas. Learn to stay young at heart. No, I am not Simon T. Bailey, Maya Angleu, Dr. Wayne Dyer or any other well known person that you may have heard of in this life. I do share a common bond with each one of them though. I am a boomer with a purpose. I know in my heart that each one of you have a purpose. Each one of you have a gift. It is just all about finding it and putting it into action. So I leave you with this writing today with a few points to ponder as you seek your purpose in life. I leave you with love and a small piece of my heart! As quoted by Simon T. Bailey, Confidence makes the Brain grow. Worry, stress, and fear cause your brain to slow down. Be Bold, Be confident, Be Brilliant! It is never to late! Next Next post: Boomers: Have You Considered Doing Some Writing?